My mouth dropped when I read he once stood outside an apartment door for a 6 hour negotiation with three heavily armed fugitives inside and with a SWAT team a couple of steps behind him. Then it hit me. Teachers are in a room in front of 30 or more kids and we can’t leave them except for a couple of breaks. We’re negotiating 6 hours a day, 180 days a year, year in and year out with the toughest negotiators in the world—kids. And what are we negotiating? We’re trying to convince kids to listen to us, to change their mind and transform their bad habits. And among those 30 or so kids we negotiate with every day, there’s always one, that one kid you think never listens to you for the whole year, 6 hours a day, 180 school days. So how do you do it? How do you motivate that unmotivated student. The defiant kid. The disruptive kid? The kid that questions you on everything? In order to have a student think or act differently, you have to understand how they think. 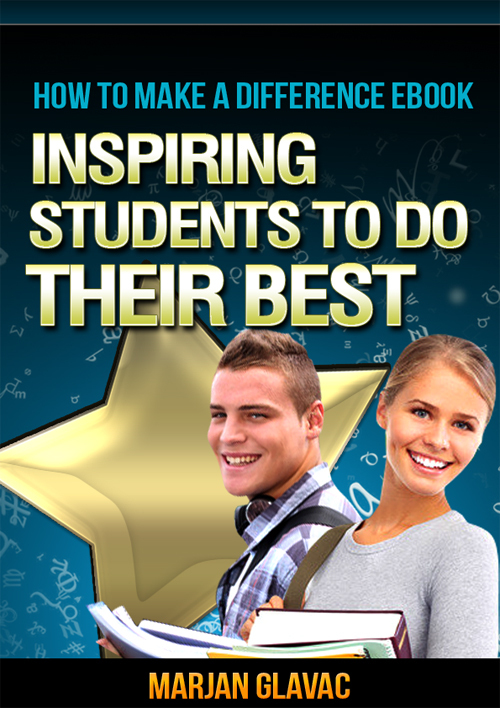 And to do that you need to know what motivates the student to act the way they do. You need to walk in their shoes, get to know them as individuals, their likes and dislikes. Get to know their family, their friends, their neighborhood. This will help you build empathy, rapport with them. And when students see you do this, they will respect you, believe in you, trust in you. And they will learn from you and think and act differently. And that’s what teachers do every day. We give to give not to get. We show empathy, we build rapport, we change inappropriate behaviour. And I’m sure, Chris Voss, the FBI’s best negotiator was taught that by a teacher.